Decluttering tips – with photos! The Internet probably doesn’t need more of this sort of thing, but I wrote about my decluttering frenzy a couple of weeks ago and posted here and it just felt good to get rid of about three car boot-fulls of stuff that I must remember to do it again whenever that ‘overwhelmed’ feeling starts creeping back. I just can’t even look at my life clearly if I’m constantly tripping over things, looking for things, and being told, “I can’t find Lego/work socks/my library books/whatever”. My sister-in-law, when I told her what I’d done, couldn’t understand how, saying that our place doesn’t look cluttered. But that’s because we have little furniture and a lot of empty space in the main living areas. If you looked into any of our drawers or cupboards before last week she would have found a very different story. My goal (which I never seem to be able to accomplish – maybe this time!) is to have a set place for everything. 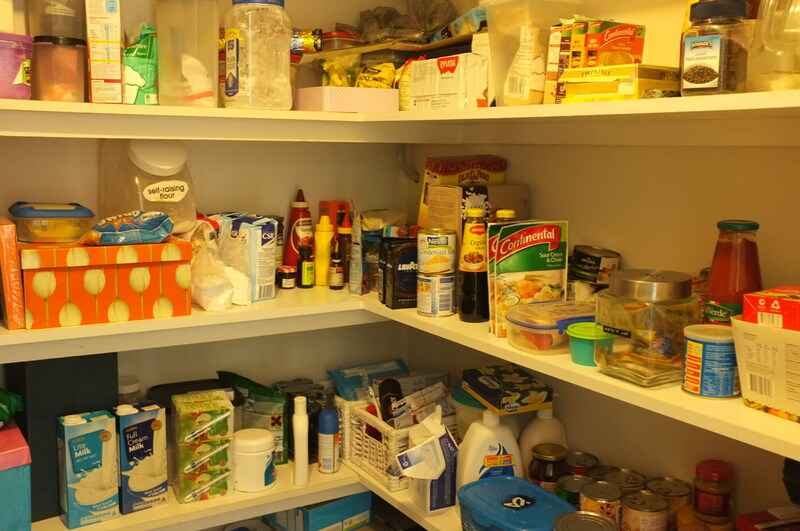 The main problem areas have been the pantry (which is huge and houses a mash up of everything from food supplies to candles to fish tank cleaning gear, to tools, toys, and toilet paper), the linen cupboard, and one of those odd cupboards which seems to collect completely random things. 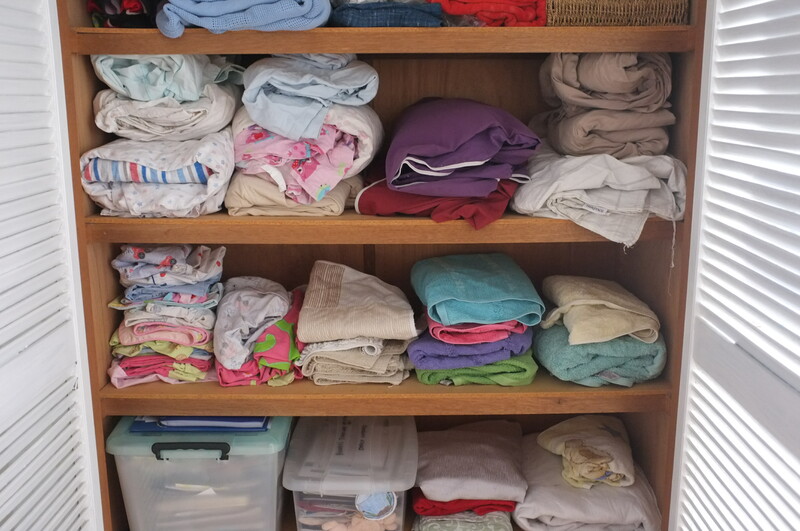 The linen cupboard was actually the easiest and quickest part of the house to do, taking only around 15-20 minutes. This was just after I started pulling stuff out. My office seems to collect a lot of miscellaneous items. It’s where you’ll find half-finished craft projects, special ‘big boy’ toys (especially Lego) that no one wants within the toddler’s reach, special rocks and other flotsam and jetsam gleaned by the children over their days, alongside important school notices, bills, and invitations. I don’t know what to do about that, except to try to clear it as best I can at the end of each day, at least so I don’t forget to pay a bill or rsvp to an invitation. Maybe another small set of drawers and or a small book shelf would help in here, so that there isn’t so much of my huge desk taken up by the printer and paper. See? Oh, and the books! I’ve culled only a very few, and those were just kids’ books that shouldn’t have got in here anyway because they were pretty sub-standard. I think Peter is still recovering from the great book cull of 2013 so I’ll be kind and let his keep his outdated Lonely Planet books and obscure histories of tiny countries. 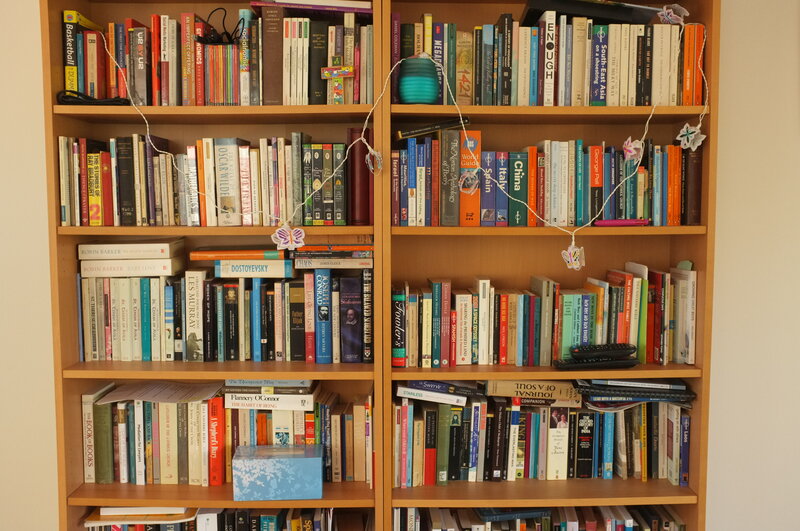 But the bookshelf definitely needed tidying up. And there’s the pantry, also after, sorry!! I forget that I’m blogging now and it’s going to take me some time to get used to the fact that I want to take photos to put here occasionally. You can see it’s quite a large walk-in pantry, with a third wall of shelving running along the other side which I couldn’t get into the photo. I know it’s not very organised but at least you can kind of see everything and can actually walk into the pantry without tripping over boxes and bulk packs of toilet paper. So there you have it. I spent a whole week on this and feel so much more clear-headed for it. Next on my list is to re-think how we do our laundry around here, because at the moment it’s not going so great. It’s not rocket science so I’m sure I’ll only need a day to sort that out. Small is great! I focus on just a small space at a time. One section or shelf of a wardrobe, one drawer, one section of a desk. For me attempt anything more, with two small boys in the house during the day and five kids at home otherwise, if I empty out the contents of my whole wardrobe onto the floor at once and start sorting through the pile for instance, I’m likely to get interrupted during the process several times and end up stuffing the whole lot back in again in a worst state than before. When I focus on a bit at a time, at worst, I’ll probably get that little bit done properly, and if things are going well I may even get the whole lot done. Be reasonable, not ruthless. Especially if you’re decluttering other people’s spaces or things as well as your own. 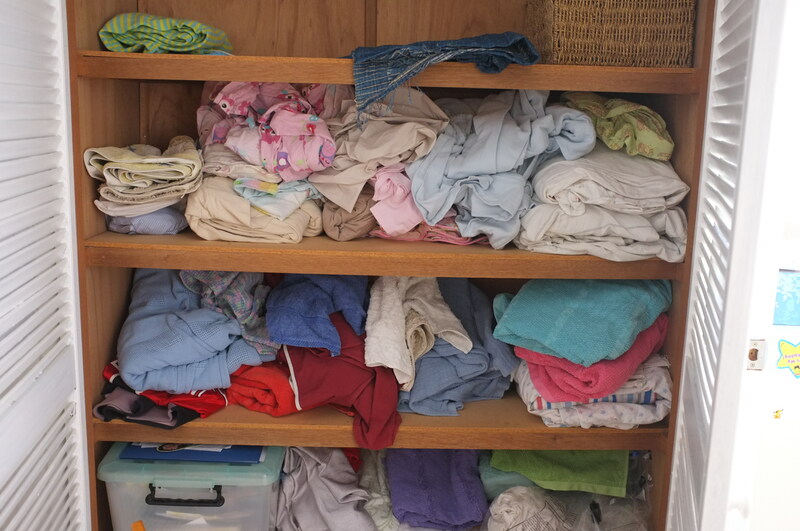 There’s no point having everything looking neat and organised but then later feeling teary over tossing out all of the children’s art projects, or traumatising your husband because you ripped up his favourite ratty old t-shirt, the one he’s lovingly been wearing in since 1989, to use as cleaning cloths. And maybe you could do with only one good black dress instead of four, but why not leave two in different styles, which would keep your wardrobe a bit less neat but also more interesting then it could be? Besides, as Elizabeth Foss has pointed out, those all-out purging frenzies are often symptomatic of some kind of emotional turmoil. Maybe if your family are freaking out over what you’re doing you need to think about why you’re doing it. Decluttering should make everyone who lives in the house feel more comfortable at home, not just yourself. Get the stuff really out. Not just shifted to another room in the house or left in a bag in the boot of the car for four months, which is what I have done. I’ve also moved things I had designated as ‘give away’ or ‘sell’ into the shed, then back into the house when I need to make room in the shed, and then out to the car, and then, when I didn’t make it to Vinnies or wherever, back into the house for another while! Now I’ve been writing this post instead of cleaning my floors, which really, really need to be done, so I’m out of here. I won’t be writing about that anytime soon – or posting photos, sorry, you’ll just have to imagine how filthy they are!